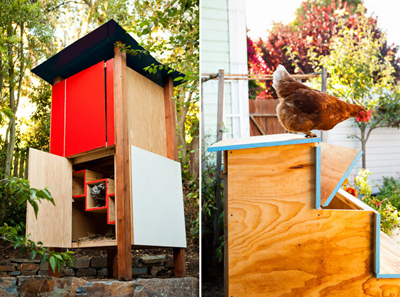 BERKELEY — It was only a matter of time before the backyard chicken movement reached this point: designer coops. Why shouldn’t fluffy creatures that devote their waking hours to feeding us have a home like the “Cupe?” With its clean lines, bold colors and butterfly roof, it’s meant for the garden of a midcentury-modern house — and it’s one of 14 original designs in the new book, Reinventing the Chicken Coop, that College of Environmental Design woodworker/instructor Matt Wolpe and a friend just published. Their “Modern Log Cabin” coop adapts the earliest American building technique to today’s two-by-four and adds an asymmetrical roofline. The “Container Coop” embraces the re-use ethic and starts with one of the many shipping containers that languish along U.S. coasts, abandoned because of the trade imbalance. The “Pallet Coop” was constructed from old shipping pallets for Oakland urban-farming pioneer Novella Carpenter. Each of the 14 designs comes with step-by-step building instructions, as well as information about tools, techniques and even chicken feed. The book, and the coops, for that matter, came about in the most organic of ways, according to Wolpe, a 29-year-old Colorado native who came to Berkeley to check out the graduate program in architecture and was drawn, instead, to a campus job that marries his interests in design and in building things. Since 2011, he has worked as a senior mechanician in the fabrication shop in the College of Environmental Design in Wurster Hall. “We help students,” Wolpe says of the fabrication shop’s staff of six. The shop is where architecture and landscape design students turn their drawings and ideas into models, using wood, plastic, metal and concrete. 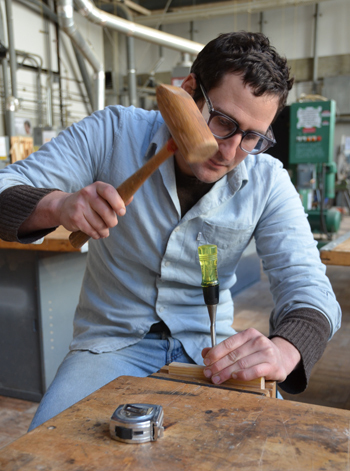 Wolpe’s route to Berkeley begins when he took up carpentry near the end of his undergraduate studies at The Evergreen State College in Washington. Attracted to design, he discovered that carpentry was a way to express himself. Graduating soon after Hurricane Katrina devastated New Orleans and neighboring coastal areas, Wolpe headed south to Mississippi in the summer of 2006 with Design Corps, a community-funded design group. Families who had lost their homes were still living in emergency housing, some five to a trailer, and the group spent the summer constructing new homes for them. The crew didn’t just hammer together prefabs. They designed structures that fit people’s needs, and had the liberty to get experimental. Wolpe still knew nothing about chickens, or coops. But he had to learn fast when he signed up to teach a collaborative carpentry class with Oakland’s City Slicker Farms, which has helped create seven community market farms in West Oakland. The class project: building a chicken coop. An interest was hatched. A year later, Wolpe and McElroy had formed a partnership, Just Fine Design/Build, and were casting about for something to display at the annual Maker Faire. The “Chick-in-a-Box” coop, their first design, won an award at the fair, but failed to spark the hoped-for surge of customer demand. Instead, though, it led to a book offer from Storey Publishing, which had seen the coop featured in a design publication. 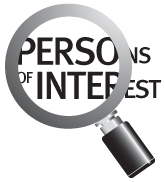 Neither Wolpe nor McElroy had written a book before, but they signed on. “It was an appealing project — like building a bunch of very small houses, each with its own roofing, flooring and framing system,” Wolpe says. “It had the potential for the detail and craftsmanship of fine furniture, and the design vocabulary of architecture. It connected to bigger ideas of food production and sustainability, and it empowered others through the safe and effective use of tools.” The book came out Jan. 1. Speaking of very small houses, Wolpe has built one of those, too, and lives in it, in the backyard of a home that he shares with friends in Oakland. Just 104 square feet (eight by 13), it has a kitchen, fireplace, hot water and a sleeping loft — all the comforts of home except a bathroom, which is a short walk away in the main house. The house, including built-ins and a miniature porch swing, took him nine months and $6,000 to build from mixed hardwoods. He’s entertained 12 people there at once — but they were all standing up. Of course, there’s a chicken coop out back.